….you know exactly how to rest. If you’re not using ladder finishers in your training, you’re missing out on an incredible opportunity to improve your conditioning and burn fat by hitting your muscles with a variety of reps.
A ladder is when you do a series of two or more exercises with a certain number of reps. With each round, you do one MORE or one LESS rep, depending on what’s prescribed. For example, here is a ladder finisher to use at the end of your workout for conditioning (or on your off day). Do the following circuit, resting only when needed. In the first circuit, you’ll perform 6 reps of each exercise. In the next circuit, you’ll perform 5 reps of each. Continue in this fashion until you complete 1 rep of each exercise. So, you’ll do 6 lunge jumps on each side, then move into the T Pushup, etc. The ladder finisher method allows you to do a lot of work in a little bit of time. 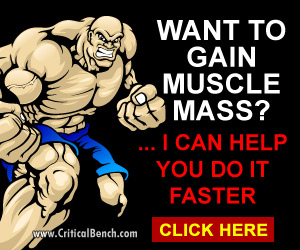 You also hit a lot of muscle, creating “metabolic havoc”. This forces your body to burn calories to return to a “normal” state. The secret to this approach… rest when your form gets sloppy, but otherwise, DON’T rest. With ladders, the idea is to improve your time it takes to finish. It’s a great way to track your progress… even if it’s just 5 seconds. That’s 5 seconds better than you were last time. If you’d like to get your hands on more Ladder Workouts click here. Do you even Tabata bro? …. Said no one… ever. You have probably heard about Tabata training because it’s dominating the fitness industry right now. In fact, where I live, I saw a “Tabata 30-minute Bootcamp” sign. If you could do Tabatas for 30 minutes, you’re an alien. Here’s the #1 lie about Tabatas… it’s not just 20 seconds of work followed by 10 seconds of rest. Now don’t get me wrong – you can still become a conditioning beast using the 20 seconds on, 10 seconds off approach, but for a TRUE Tabata, you must use the highest level of conditioning. You have to reach a certain percentage of your V02 Max (this is getting “sciency”). So, 20 seconds of bodyweight squats is NOT Tabata. That’s just doing bodyweight squats for 20 seconds (sorry). Now why would you want to use a Tabata Finisher? 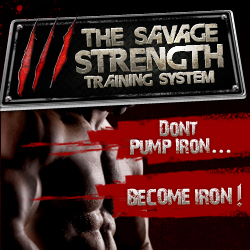 It’s practically the “gold standard” of conditioning in as little time as possible. Tabatas will make you a Jedi in the gym… well, not really. But they will improve your overall conditioning and drop body fat in just 4 minutes (PLUS you’ll see a better performance in and out of the gym). In fact, research from ACE showed that you can burn up to 340 calories in 4 minutes (the length of a Tabata Finisher). But because of their intensity, you MUST do them AFTER your workout or later in the day. And if you’re on a tight schedule, this is the best “bang-for-your buck” routine you could ask for as a stand-alone workout. Tabata Finishers manual because I just tested it out with my longtime client this week. Can’t even explain it… it’s why I made coaching videos. “Enjoy” (ha-ha). Now go kill it! ACE Study by Talisa Emberts, M.S., John P. Porcari, Ph.D., Jeffery Steffen, Ph.D., Scott Doberstein, M.S., and Carl Foster, Ph.D.
Is Milk Good for Gaining Mass?